Let’s start with the most obvious one. If you don’t mind using your downtime to watch yet more engineering, then this will be right up your street. As the title implies, the projects featured here aren’t your run-of-the-mill construction projects. Featuring some of the most amazing, how-the- heck-does-that-thing-stay-up type of bridges and structures, you can get your engineering-geek on in the comfort of your own home. Please note, there is also the closely related ‘Megastructures’ show that doesn’t warrant a separate entry as they are virtually the same show, featuring some different projects. Presented by the exuberant Adam Hart-Davis, who clearly loves all things engineering and historical, this show gives a fascinating look at the Victorian era of innovation. The industrial revolution fuelled huge advances in engineering, many of which are examined closely in this enthralling series, covering everything from transport to modern sewage systems. Fast cars, extreme stunts, comedy moments. Top Gear has all the ingredients for compulsive viewing, especially for engineers of the petrol-head variety. Although the golden age of Top Gear may have passed with Jeremy Clarkson’s departure, it still provides motoring thrills and spills galore under Matt Le Blanc’s enthusiastic guidance. There aren’t many fictional TV series about aerospace engineering, but this little-known Japanese show fits that bill. If you can get past the subtitles and the Japanese idiosyncrasies, this is a great little plot twister with a rip-roaring finale. It tells the tale of Tsukuda Kohei, an aerospace engineer who inherits his father’s factory, where he fulfils his dream of building his own rocket engine. The plot revolves around patent infringements and political intrigue that weaves a tragic human story complete with technological and engineering delights. Presented by Robert Llewellyn (who played the android Kryten in Red Dwarf) and Lisa Rogers, Scrapheap Challenge is the perfect blend of competition, ingenuity and engineering. Set in a scrapyard, two teams are given the challenge of creating a useful machine or gadget using nothing but the scrap items surrounding them. Highlights have included the construction of an all-terrain vehicle capable of pushing boulders, as well as building fully amphibious vehicles. SPOILER ALERT: unbelievably, one of them actually makes it across a lake without sinking! No list of great TV shows for engineers would be complete without this classic portrayal of geeky physicists struggling to cope with life outside of the laboratory. The awkward moments and socially inept escapades of the two nerdy heroes (especially when it comes to affairs of the heart) make this an absolutely hilarious show that most engineers can probably relate to in one way or another! Impress people at dinner parties with your superior knowledge of common myths that are debunked or proven on this show. The presenters test claims and myths with extreme experiments, awarding three different levels depending on the outcomes – busted, plausible and confirmed. The show became well known for dangerous experiments that went wrong, such as the cannonball that went over its intended target during filming in Dublin, Ireland, bouncing up a hillside, grazing the roof of a house and smashing into a minivan. Fortunately, nobody was hurt in the incident. 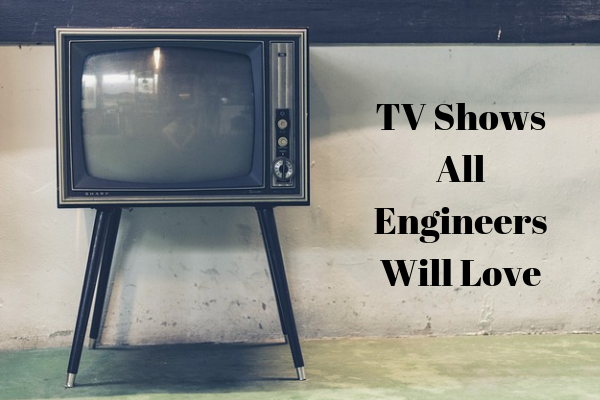 So there it is, seven stupendous TV shows that add up to hundreds of hours of essential engineering viewing. All that’s left to do is try and locate some of them. The Discovery channel or Dave often show re-runs of these shows. Failing that, fire up Netflix or get on eBay to order up some DVD box sets. Then sit back and enjoy. 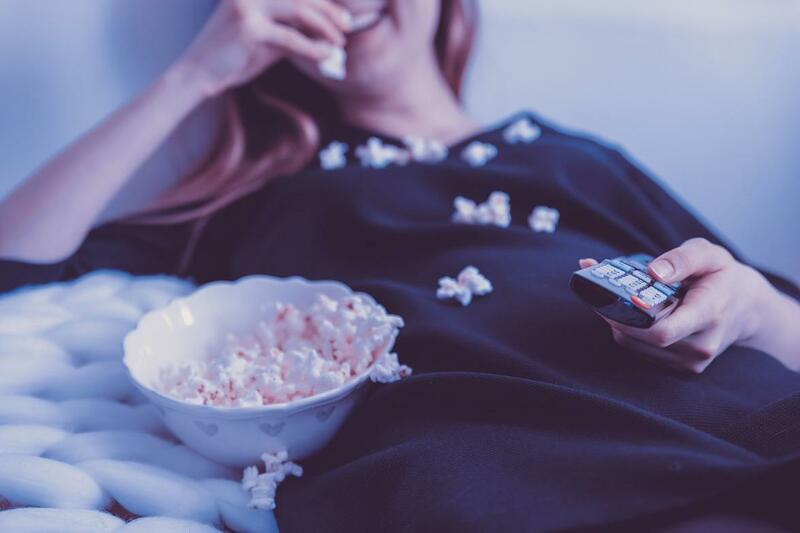 If for whatever reason, this does not satisfy your viewing needs we have also compiled a list of YouTube channels that we dare you not to enjoy!